Wooden decks are built to form an extension of your living room, dining room or kitchen. They add great value to a home, especially if it is sea facing. In Hawaii, finding a sea facing home is definitely not a challenge! 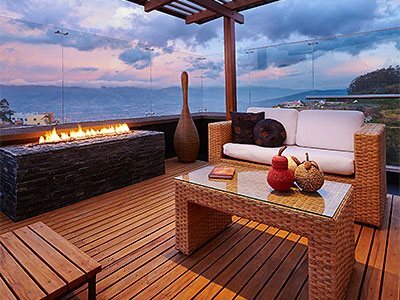 Wood decks serve as an observation point, evening hangout and party space for your home. If you are the kind of person who hosts parties frequently then it is worth investing in a wooden deck. Hosting a party in the house involves a lot of effort before and after the event. If you have a good wooden deck, you can also consider having a barbecue grill, an outdoor kitchen and swimming pools adjoining the deck. You can make the deck safe, especially if it is elevated by installing attractively designed deck railing. Wooden features can add great aesthetic value to your home, but they also need a lot of maintenance. Wood is susceptible to damage due to changing weather conditions. If it is not maintained properly, it tends to wear out quickly. The wood needs to be prepared to withstand weather and pests before it can be used to construct a deck. Maintaining wood decks would seem like a tremendous task for an individual. Leave the task of building and maintaining the decks to professionals at Unlimited Landscape Hawaii LLC. Our staff is well trained in maintenance tasks and will never let anything happen to your deck. If you want to maintain a deck, it would take some time and money. The construction cost of a deck is higher than the maintenance cost. The cost will depend on the kind of maintenance required. Landscaping staff would come and prepare the wood against damage before summer and winter months. They make sure that the wood is well coated to withstand the effects of rains. However, when it comes to building wood decks, you need good material and experienced labor to complete the task. Even though this is a onetime investment, it can add value to your property. Where to Build the Deck? If you have a sea facing house, the ideal place to build the deck would be in the front of the house. Imagine a beautiful wooden deck with beautiful flowering plants in creative and colorful pots in front of your door. Your home will almost look like a Spanish Villa. You can add several creative effects like lighting, furniture, plants and even props to make your deck look interesting. Leave the designing and planning of wood decks to our experts at Unlimited Landscape Hawaii LLC and you will not regret the decision. 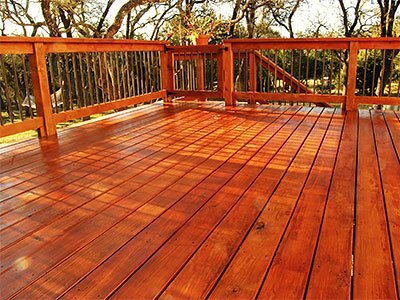 In a matter of few days, you will have an amazing looking deck in front of your house. A wooden deck also is a popular feature at the back of the house or overlooking the swimming pool. Our experts will give you the right ideas when you speak to us on 808-726-9495. We are located in Wahiawa, Hawaii, but service many other areas, including Hawaii Kai, Waikiki and Pearl City.